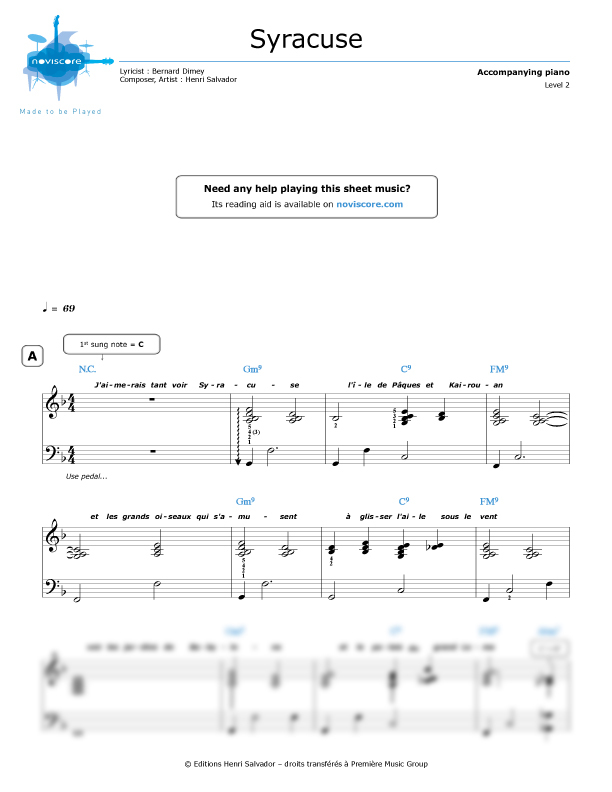 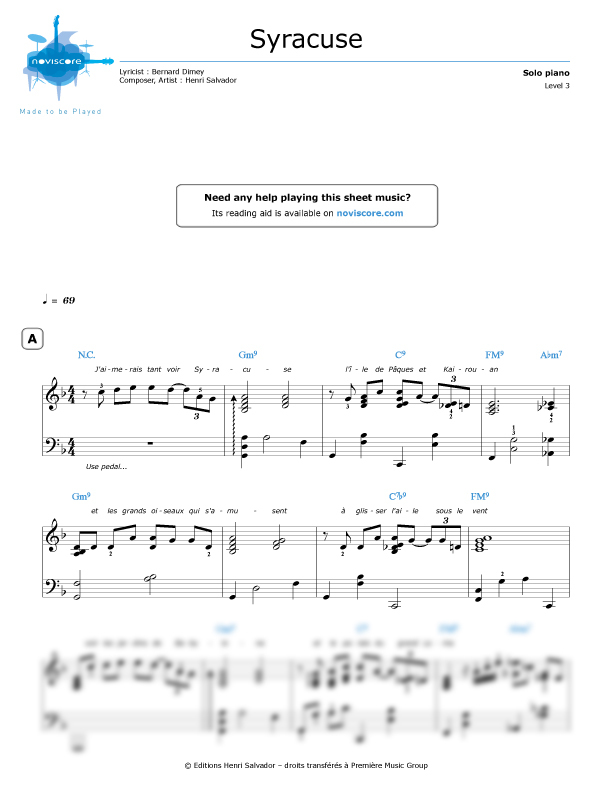 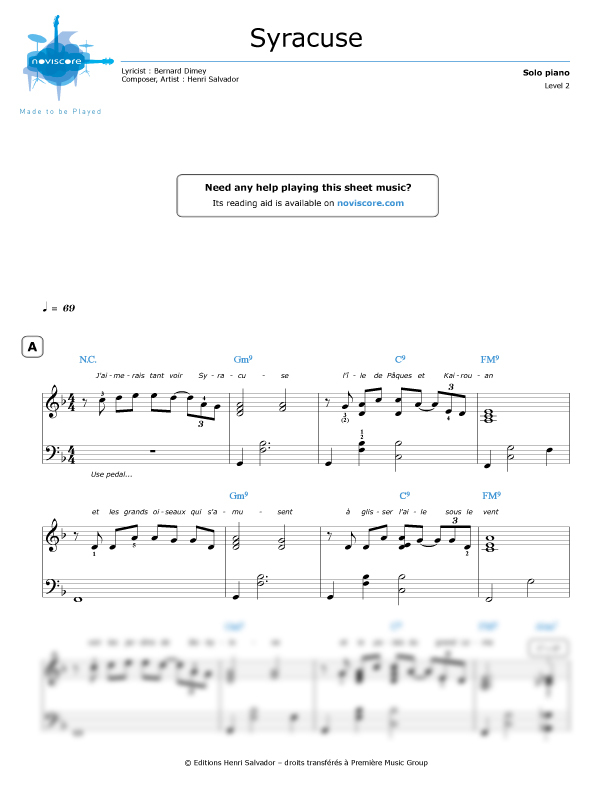 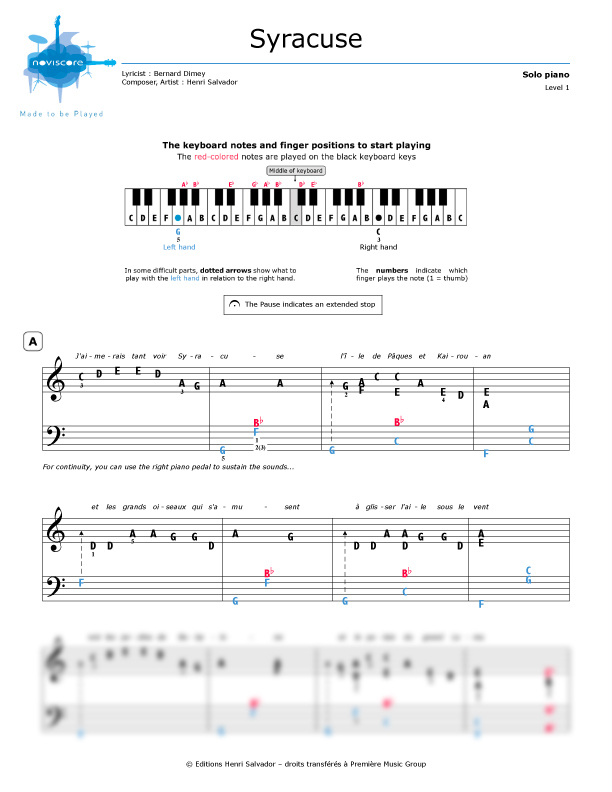 Enter the world of jazz, bossa nova and French variety with our Syracuse piano sheet music. 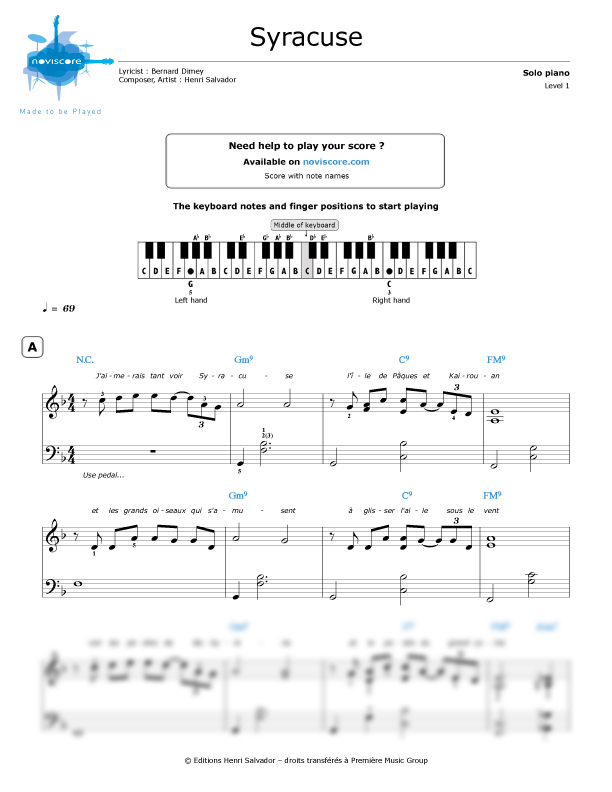 Discover all our adaptations of this popular 60s song by Henri Salvador. Beginners should choose from our two easy piano music sheets Level 1with either traditional notes or note names if you have not yet mastered music theory. 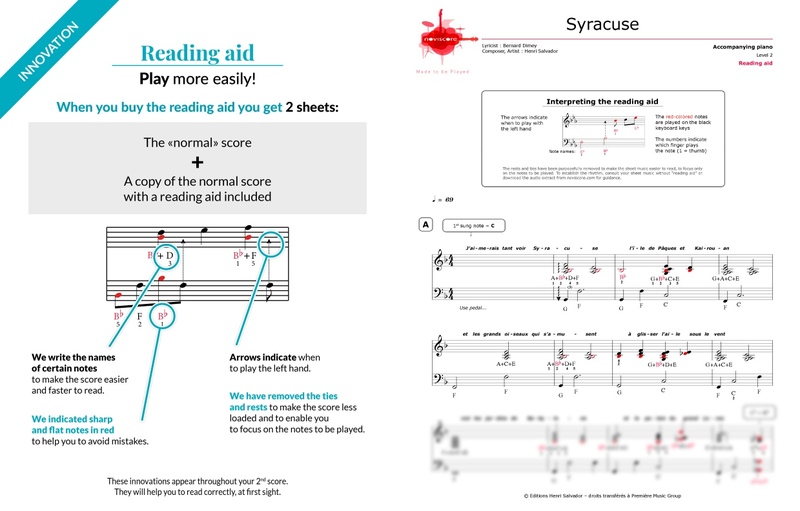 More accomplished players should opt for our other levels for piano solo or our piano accompaniment Level 2, all available with reading aids if required. 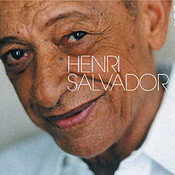 Composed by Henri Salvador in 1962 with lyrics by French poet Bernard Dimey, Syracuse has become a French variety standard and covered by numerous artists such as Patricia Kaas, Yves Montand and Iggy Pop.